Marc is the Engage Coordinator in Montréal, QC. 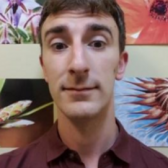 He holds a Bachelors in Honors Immunology and Infection from the University of Alberta, and has recently completed his Masters of Science in Public Health from McGill University. Marc has been working on the Engage project from it’s beginnings in 2015, where he studied the various barriers to accessing HIV prevention and treatment services. Marc is currently coordinating Engage-Montreal with members of the Direction régionale de santé publique du CIUSSS du Centre Sud de l’Ile de Montréal and our community partners.